Through 8/18, Walgreens offers the 50×60″ Photo Collage Fleece Blanket for $19.99 with code CUDDLEUP. Shipping adds $5.99. Through 5/9, you can get a free 8×10 photo print from Walgreens with code FREE2PRINT. The nice thing about this deal is that you can choose to have it printed at any Walgreens, so if you are planning to give this as a gift to your family in another town or state, you can have them pick it up. 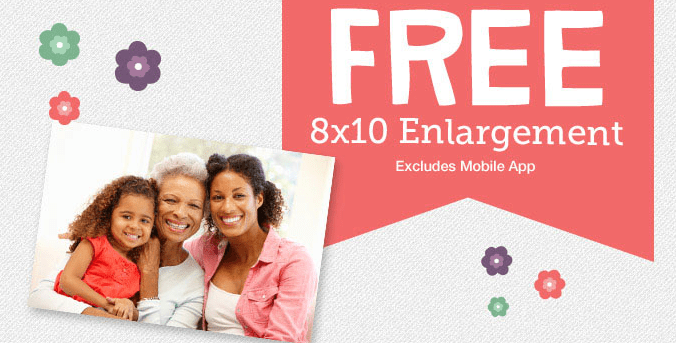 Through May 10, you can order a free 8×10 photo print from Walgreens with code ENLARGEIT. Choose in store pickup to avoid a shipping charge. Please note that this offer will not work through the mobile app, so you’ll have to use a pc or laptop for this one. 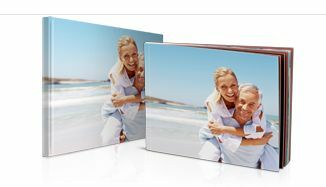 Through April 26, you can create a 4.5x 6 Brag Book online at Walgreens for just $0.99 (reg. $6.99) with code BRAG2ALL. Choose in store pickup to avoid a shipping charge. The nice thing about Walgreens is that you can make your book, pay for it, and have it printed in another location (state or city) so that a family member, (grandparents, aunts, uncles) can pick it up right where they live. Click here to get started. 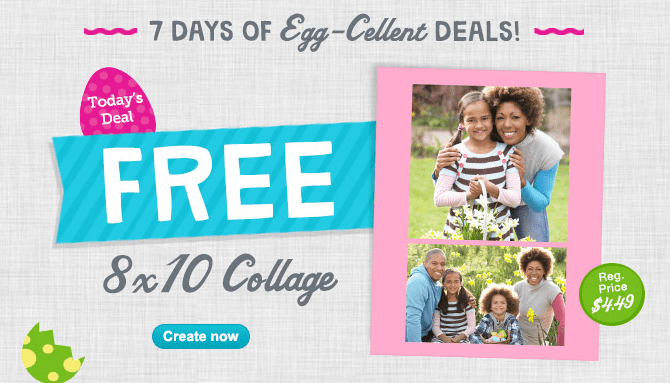 Today only, make a free 8×10 collage print from Walgreens with code CLLGZERO. Choose in store pickup to avoid a shipping charge. Valid March 30 only. Click here to get started. Through 1/4, you can make yourself or someone else a free 4.5 x 6 Photo Brag Book (with up to 10 double-sided pages) when you use code SMALLBOOK. Also, use code SHIPIT2ME to get free shipping. Click here to get started. 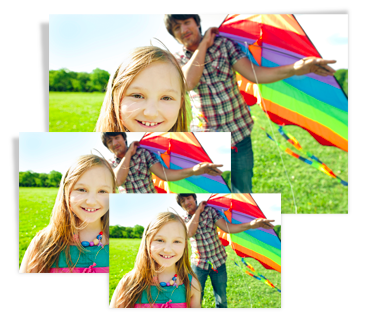 Through Dec. 22, 2013, you can get one free 8×10 photo print from Walgreens with code TODAY8X10. Choose in-store pickup to get free shipping. Today only, you can order up to 50 free photo prints when you use the codes NOV25FREE and PRINTME25. Please note that each code is good for 25 free photo prints. You will need to complete two transactions to get 50 for free. Choose in store pickup to avoid a shipping charge. You can also arrange for these to be picked up by someone else, so if you have family in another city, you can have them printed at their local Walgreens and they could pick it up. Click here to get started.